Summer can be a welcome break from the usual school-year routine and offers some unique opportunities for your private piano students. No school (or homework!) allows more time to experiment on the piano. Flexibility during the day also means you can alter scheduling and plan duet lessons or have a daytime piano camp. Of course, teachers always consider how to make piano lessons fun, and to help with that, we explore some summer ideas and resources. The harpsichord holds an important place in music history. Its unique sound is instantly recognizable, flavoring the works of countless composers from the Renaissance, Baroque and Classical periods. The historic harpsichord at Mount Vernon is of special interest to John Watson, Curator Emeritus of Musical Instruments for Colonial Williamsburg. It’s an instrument modern ears have had no way to hear… until now. Standing in the St. Matthew Lutheran Church in Hanover, Pennsylvania, it is not difficult to see how the beauty of religious devotion can inspire someone like Lloyd Larson to create such splendid choral pieces. Indeed, Larson considers himself a product of the church his family attended while growing up in Illinois. 2,000 music teachers, students, and music industry personnel will meet in Chicago from March 22-26, 2014 for the Music Teachers National Association’s annual conference. Prominent on the schedule is the premiere of two trios by American composers Wynn-Anne Rossi and Phillip Keveren. Pianists, think back to your first experience playing the piano alongside another. 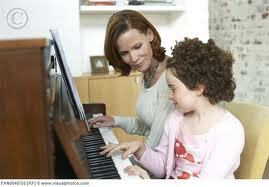 For me, it was at home at age eight, sitting on the bench of our just-delivered Kawai upright with my mother. At that moment, I knew nothing about playing the piano. But like so many, the one and only thing my mother could plunk out was Heart and Soul.